Walking along the old Pennsylvania mill streams this time of year, I often find myself engaged in a childish treasure hunt, one better than any Easter egg hunt I’ve ever experienced. Golf balls. Left behind after the spring floods recede, they lodge like stones in the mounds of silt. Yesterday, I found seven within the first minutes of my walk. 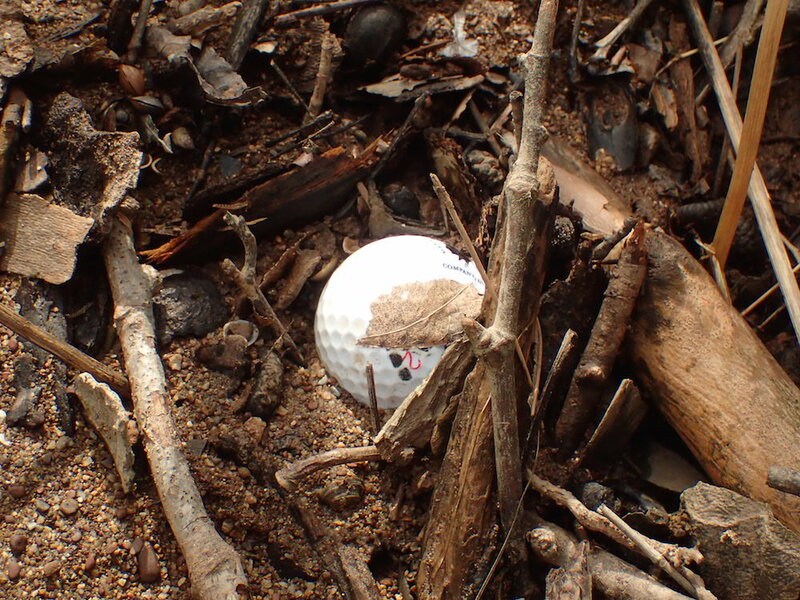 Luckily, there is a golfer back home who can make use of this egg-like bonanza. 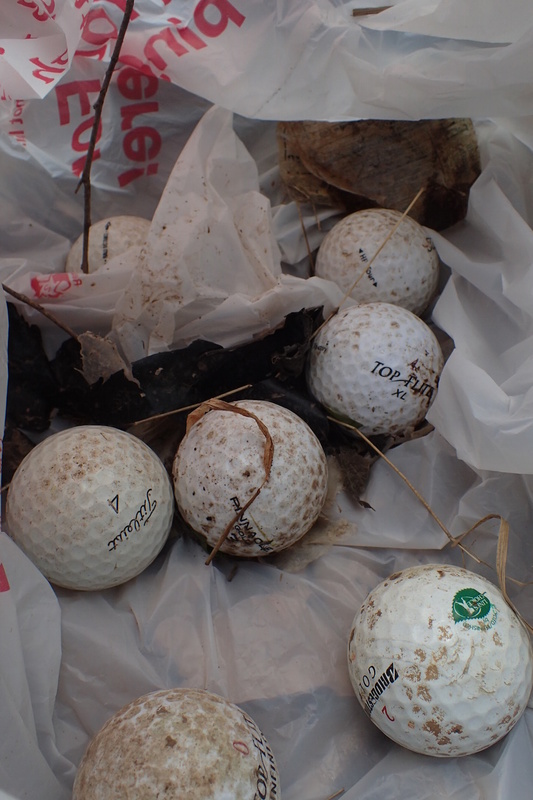 A cache of soon-to-be scrubbed golf balls collected along with the trash. I wonder where they started out. At a local course? A backyard duffer taking shots at the creek?